A CAQ government will support young and aspiring farmers, through the Fonds d’investissement agricole (FDAQ), among others. The CAQ vows to listen to the world of agriculture and to work hand in hand to ensure the future of Québec agriculture. 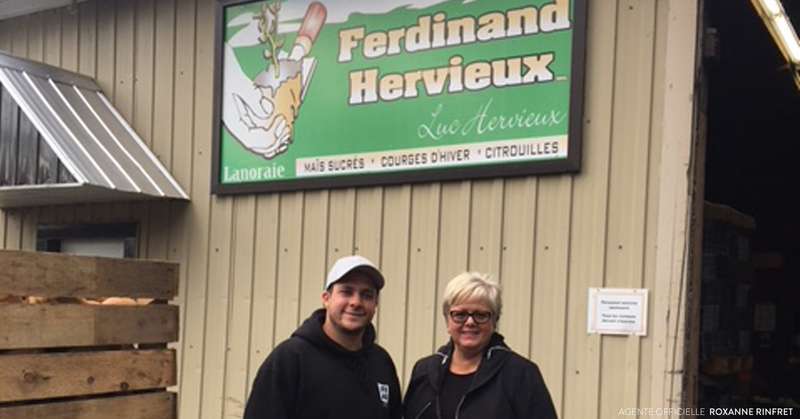 In response to requests from the Fédération de la relève agricole (FRAQ), Coalition Avenir Québec MNA and candidate for Mirabel, Sylvie D’Amours, met today with Pierre-Luc Hervieux, a new generation farm operator to hear young farmers’ concerns and to explain the CAQ’s commitments concerning agriculture. Questioned about challenges young farmers face when they want to buy farmland, she reiterated the CAQ’s commitment to establish a 50-million-dollar per year agriculture investment fund during its first term in office, to be funded by FADQ profits. Available for all types of production, this fund will support young farmers wanting to start their own operation or to buy and cultivate agricultural land surfaces. The CAQ is committed to work hand in hand with young farmers and to pay attention to their preoccupations, so that our land be used for agriculture and to facilitate farm transfer from one generation to the next. While the Ministry of Agriculture should make it a priority of ensuring the future or young producers and farmers, Sylvie D’Amours reminded everyone that the current Liberal government waited until the very end of its mandate to adopt a few timid measures. “Agriculture is key to territory occupation, to land use and to the development of our regions. It’s also fundamental to our economy and collective wealth. For the last few years Québec farmers have been ignored by the government. We are losing ground fast and that worries me. The CAQ will do everything it can to support young farmers and to ensure a great future for those young people who aspire to contribute, by operating a farm or through the agri-food industry, to this essential sector of Québec’s economy”.